Lucknow, Feb 9 (IANS) The death toll in the hooch tragedy in Uttar Pradesh and Uttarakhand went up to 47 on Saturday evening even as raids continued across the state. with the tragedy while 297 cases were registered against the hooch trading mafia, officials said. Thousands of litres of spurious liquor were also recovered in the statewide crackdown. As per latest reports, 36 persons have died after consuming spurious liquor in Saharanpur district of western Uttar Pradesh while 11 persons have died in Kushinagar district. District Magistrate (DM) of Saharanpur, Alok Kumar Pandey, told IANS that so far 36 deaths were confirmed but the number could go up with more deaths being reported from neighbouring Meerut. 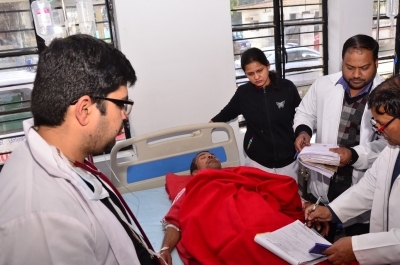 "Three persons undergoing treatment locally are showing signs of improvement, while six have been referred to the Meerut Medical College as they were critical" Pandey said. Chief Minister Yogi Adityanath has announced a compensation of Rs 2 lakh each to the kin of the deceased. According to officials, the victims had attended a funeral in neighbouring Ballupur village in Haridwar district and had consumed liquor there. They fell ill thereafter. Raids were being conducted in various parts of the state, including Banda from where a large quantity of illicit liquor was seized. The state government has already suspended the District Excise Officer and District Excise Inspector of Kushinagar, among many others. 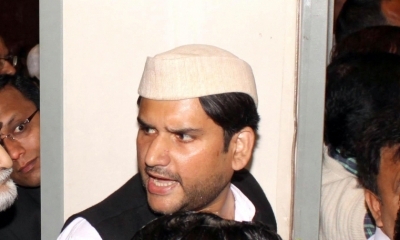 Jyotiraditya Scindia, Congress general secretary in-charge of western UP, expressed anguish over the deaths and tweeted that he has since spoken to the Saharanpur DM, seeking details of the tragedy.